Insurance, Sunset, Internet, Commissioner of Insurance, Texas Department of Windstorm Insurance Association Relating to the operations and functions of the Texas Windstorm Insurance Association and the sunset review date for and programs administered by the association; authorizing a fee. Nichols City Government, County Government, Purchasing, Competitive Bidding Relating to the construction manager-at-risk method of contracting for governmental construction projects. Important note: The following information is provided for informational purposes only. The listing of a bill on this Web site does not indicate support, opposition, or any other position regarding the bill and should not be construed as such. 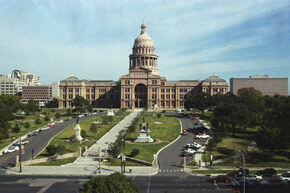 The Senate and its committees - Website for the Texas Senate. This site provides access to audio and video broadcasts for senate chamber proceedings and committee hearings, biographical information, newsletters, news releases, and a kids page. The House and its committees - Website for the Texas House of Representatives. This site provides access to audio and video broadcasts for House chamber proceedings and committee hearings, biographical information, newsletters, and news releases.